Here's your chance to win one of the best zombie flicks I've seen in a long time! 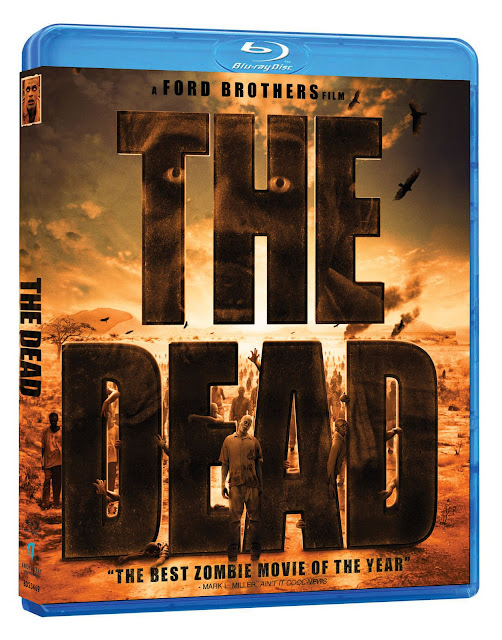 THE DEAD will be releasing on Blu-ray and DVD on February 14th via our friends at Anchor Bay and here's a chance for you to get it for FREE! Send an email HERE and give us your name and mailing address in the subject line . The contest ends on Tuesday, February 14th aka Valentine's "Zombie" Day! The lucky winners will be randomly picked and the movie will be mailed off them. 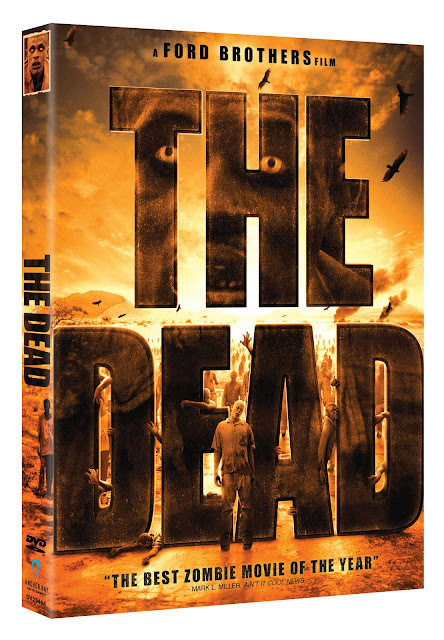 When the last flight out of war-torn Africa crashes off the coast, Lt. Brian Murphy (Rob Freeman) is the solesurvivor in a land where the dead are returning to life and attacking the living. On the run in a hostile and inhospitable parched landscape, Murphy has to use his wits and ingenuity if he is to get home alive to his family. When he crosses paths with local solider Daniel Dembele (Prince David Osei), a man frantically searching for his son, they join forces. Two desperate men from two very different cultures fight side-by-side to survive across the incredible vistas of Africa as the world around them succumbs to the deadliest of viruses.